Dan and I are still not back to 100% but our cough drop and tissue consumption has finally started dropping. Still, we are closing in on two weeks of this nastiness so I officially dub it the most un-fun cold ever. So totally done with it. Ugh. The only positive thing about this cold is that I was able to knit during most of it (almost misshapen heels is where the "most" comes in). Yes, I finished Dan's socks. Technically, I suppose these are his birthday socks (a month and a half late) but I thought about making them for his birthday and they always say it's the thought that counts, right? Right. 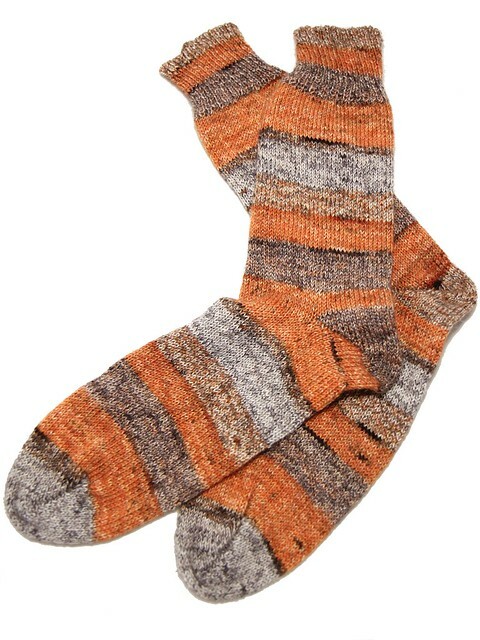 The next socks are definitely going to be mine but they are not going to be the next project I do. Mostly because I started a new project yesterday. I think my focus and level of enthusiasm for it is a good indicator that I'm finally getting out of headcold-fog-land. Of course, I have now run out of yarn for my open-topped cube. (Apparently that's my knitting theme this year. Sigh.) 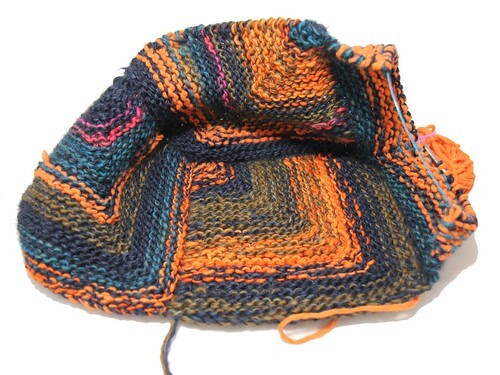 So I've got two hanks of yarn coming in two of the three "main" colors of this cube, then I'll be able to finish it up. And stop losing DPNs. I better be over this cold by the time the yarn arrives. Because this is taking too long to get over. TOO LONG!